Among the several content types available in facebook News Feed, which include status updates, photos, videos and link, facebook on March 1st 2016 told the world through a post published on their official blog by Vibhi Kant, Product Manager and Jie Xu, Software Engineer that live videos will now be a content type which will display on the News Feed of facebook users. This move is due to the popularity live videos gain in the past few month when it was rolled out on iOS and Adroid phones in US. It was discovered that "more and more people and Pages are creating and watching live videos." Because facebook discover that People spend more than 3x more time watching a Facebook Live Video on average compared to video that's no longer live, they have decided to have this content type included in News Feed. 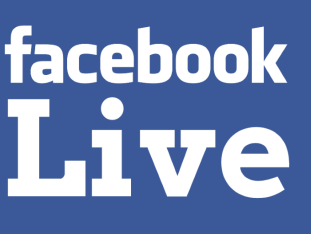 In ranking live videos, Facebook is making a little update to the News Feed so that Facebook Live videos appear higher in News Feed when those videos are actually live, compared to when they are no longer live.